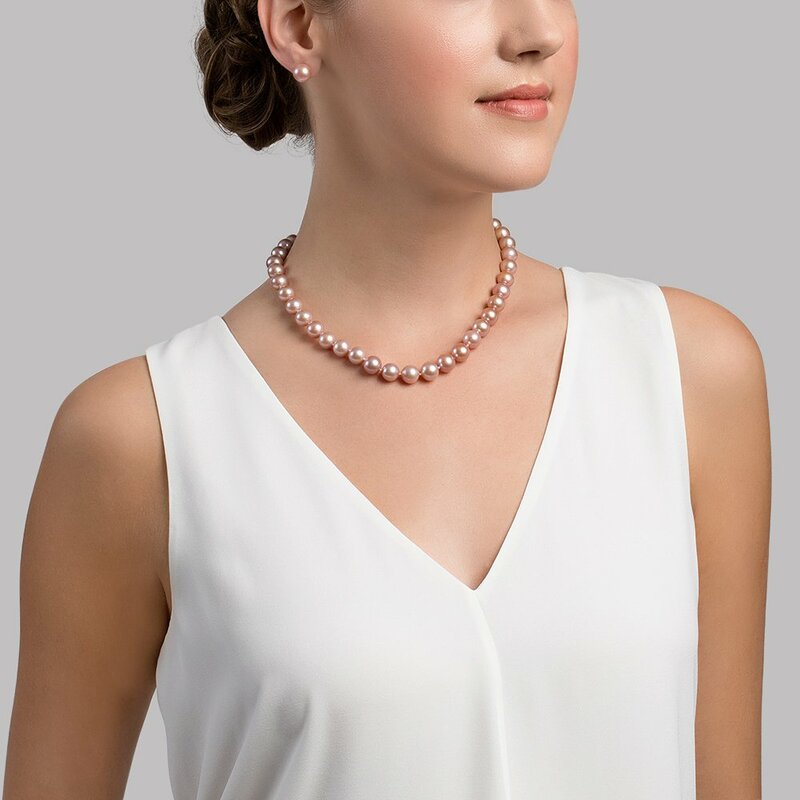 When it comes to the hottest and most demanded colour in freshwater pearl necklaces, pink definitely fits that description. 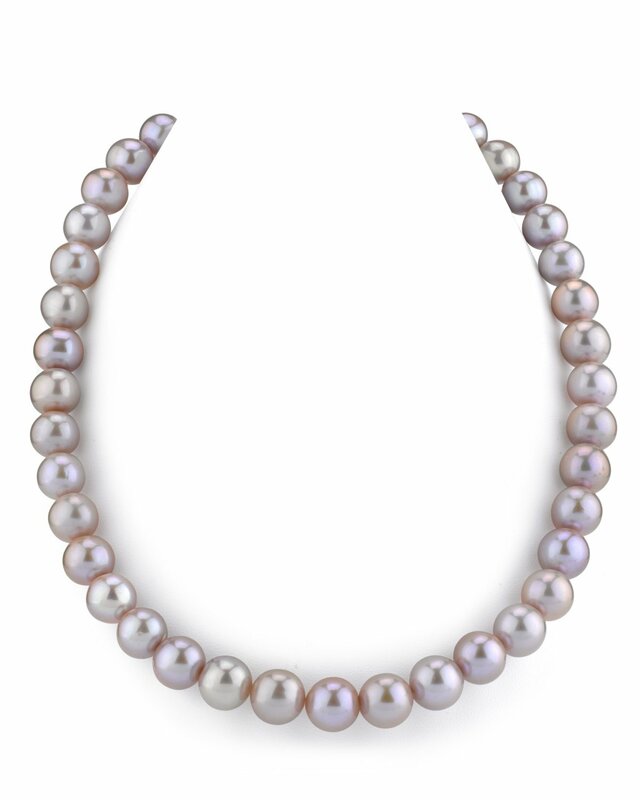 If you are looking for an affordable pearl necklace that is absolutely gorgeous, here is a AAA quality 11-12mm lavender/pink freshwater pearl masterpiece. 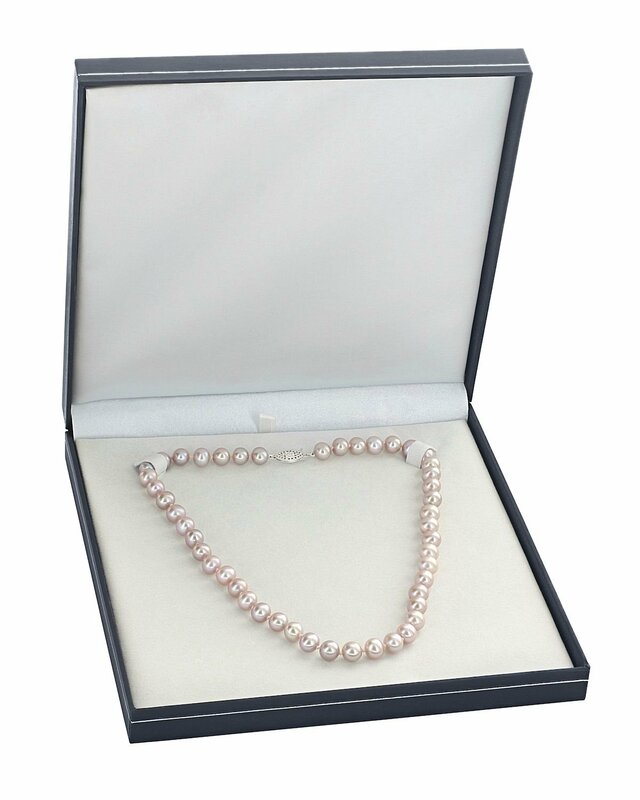 This pearl necklace has 'Very High' grade lustre (our highest grade available) and is affixed with a beautiful 14K white gold ball clasp. Optional Clasps are also available. If you have any further questions, feel free to call us anytime at 1-866-87-Pearl (1-866-877-3275).